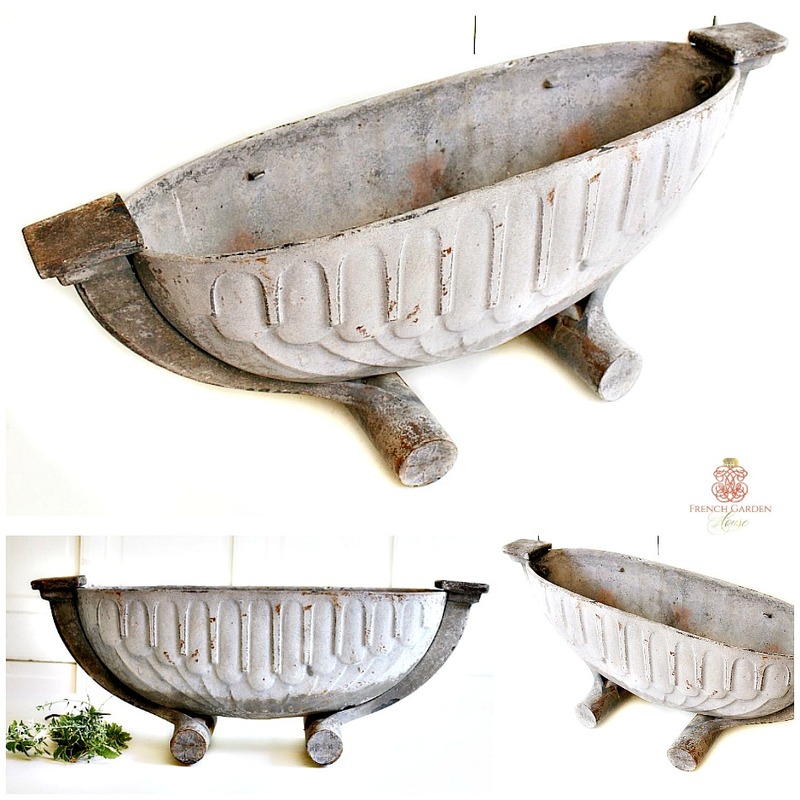 Stunning Art Deco French Gris Cast Iron Jardiniere, with elegant and spare design so refreshing after the Victorian and Edwardian era. Worn, with plenty of personality and the patina of decades, quite out of the ordinary. The finish has developed that desired gray-white milky patination, the sculptural quality of this piece makes this suitable to be displayed without anything in it as the work of art it is. 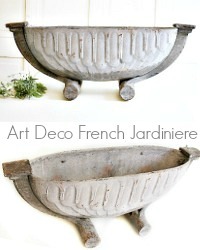 A decorative addition to any interior, to your outdoor spaces or garden, and to your collection of French planters. 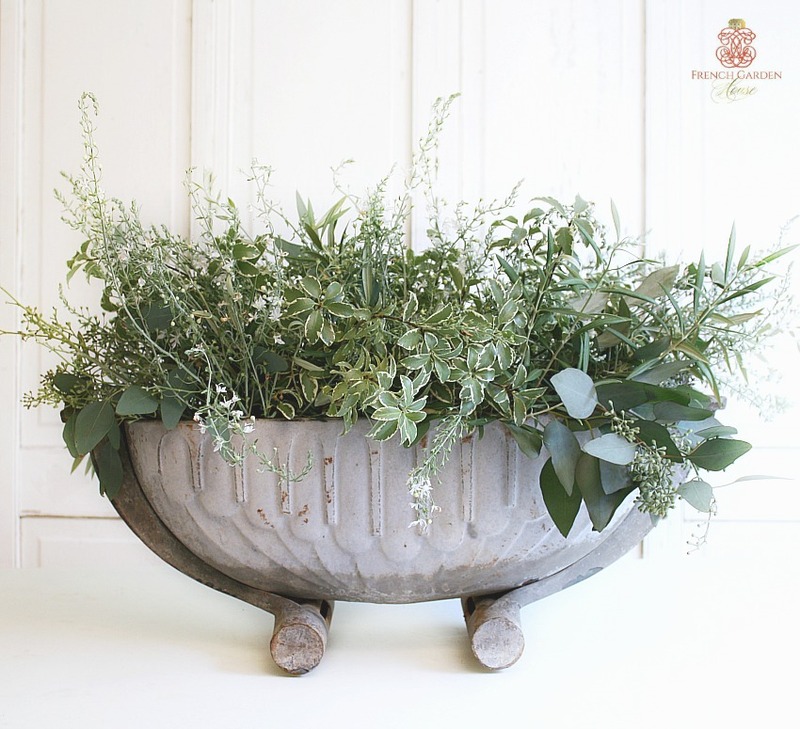 Very heavy, a fantastic addition to your garden, or home. Measures 23" x 8-3/4" x 8-1/4"h.